La Lune Salutes the 2016 Color of the Year - Simply White! La Lune Salutes the 2016 Color of the Year: Simply White! 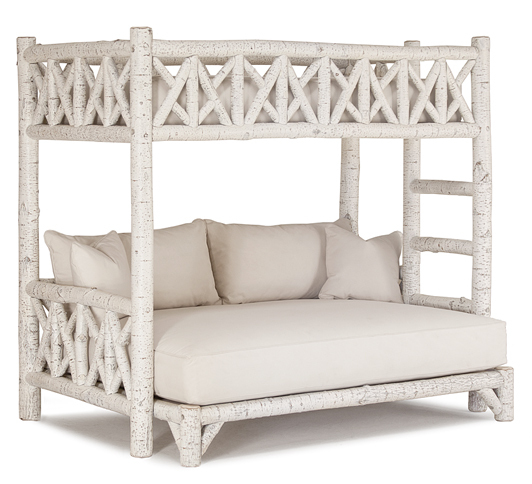 Posted December 9, 2015 by La Lune Collection & filed under Interior Design, Rustic Beds, Rustic Bunk Beds, Rustic Cabinets, Rustic Chairs, Rustic Furniture, Rustic Seating, Rustic Tables. The color gurus at Benjamin Moore recently revealed their pick for 2016 Color of the Year – announcing SIMPLY WHITE! At La Lune Collection we whole-heartedly salute this color pick. 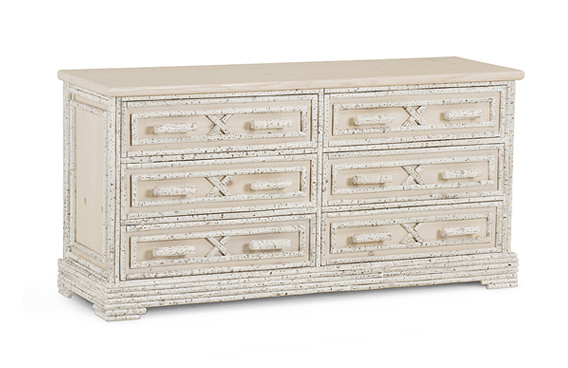 Our own wood finishes include a wealth of rich shades of white – and to get into the spirit of this ‘white inspiration’, we’re sharing a dozen of our beautiful rustic La Lune furniture pieces ‘wearing’ some of our magnificent white finishes, including Antique White, Whitewash, Navajo, Sandstone, Taupe, and more. 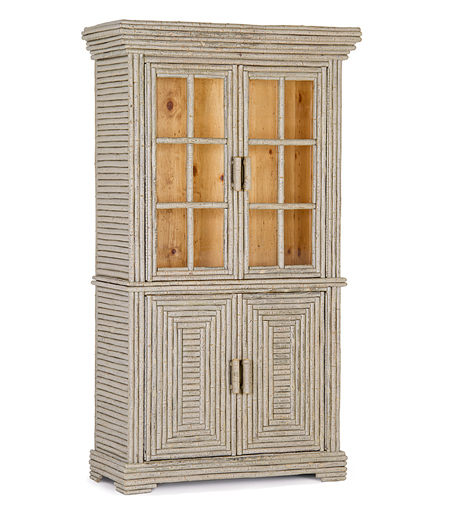 With its welcoming traditional appeal and superb craftsmanship, this Hutch has the look and feel of furnishings from a bygone era. Our craftsmen proudly sustain the ancient tradition of hand-made rustic furniture, using the same methods and materials that were used by the early artisans. 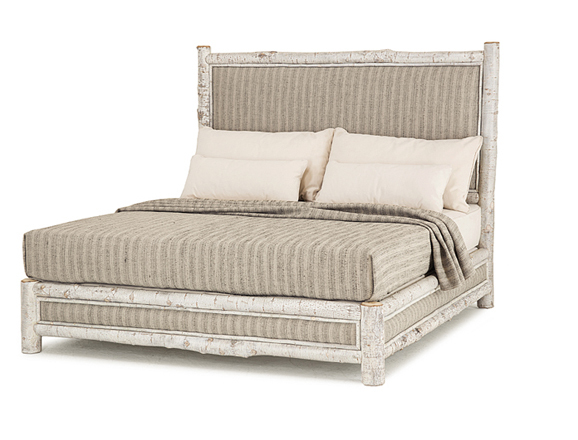 With its clean, classic lines this beautiful upholstered bed is equally at home in traditional, rustic, and eclectic settings. 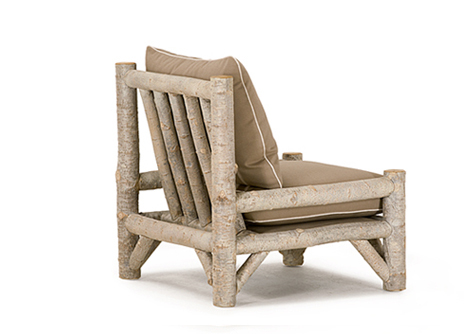 Masterfully upholstered by our craftsmen, it’s a perfect combination of style, strength, and comfort. Simplicity truly is beautiful, as evidenced by the sturdy lines and uncomplicated comfort of this Armless Club Chair – the ideal seating solution for countless design applications. 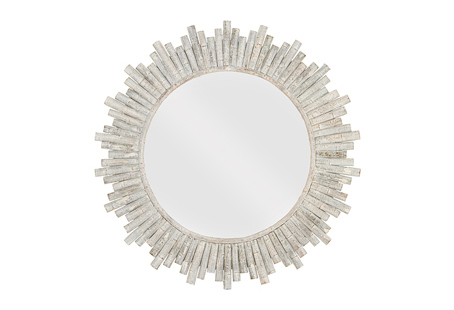 An elegant “sun burst” is created for this Mirror by La Lune’s furniture artisans, who painstakingly apply perfectly measured and matched “sun rays” – a breathtaking piece of artwork. 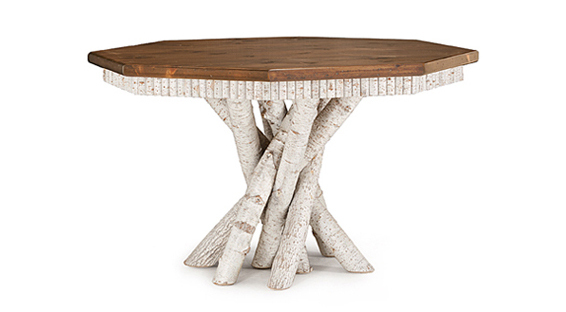 This octagonal Dining Table is a La Lune favorite! Its inspired rustic design, created by our master craftsmen, features a precise branch “apron” and a gracefully organic base of free-form branches. Our expert craftsmen have tended to every detail in the construction of this finely crafted chest, carefully cutting and applying by hand the branches that make up its handsome design. A striking pattern of angled branches creates the outstanding design feature of this handsome Bunk Bed. Meticulous construction, kiln drying, special joints and finishes, and attention to every detail ensure its enduring strength and beauty. 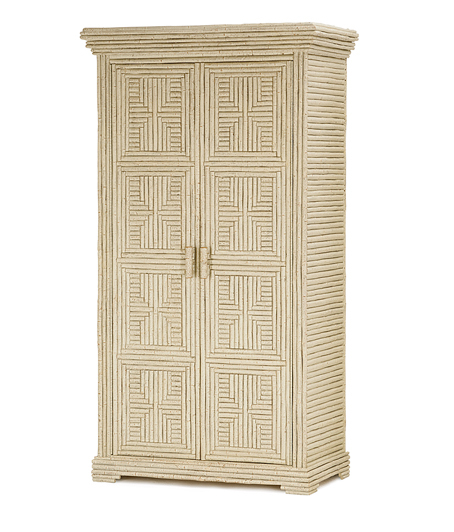 Branches are meticulously cut and positioned by hand by our skilled artisans to create each individual pattern on this handsome Armoire – finely crafted, interior and exterior. 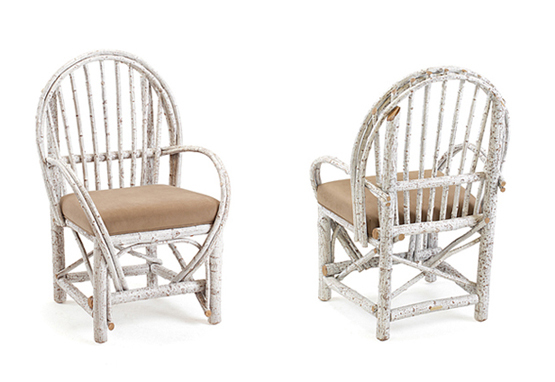 This Chair’s rustic simplicity makes it a most versatile decorating piece, an appealing combination of sturdiness and elegance. 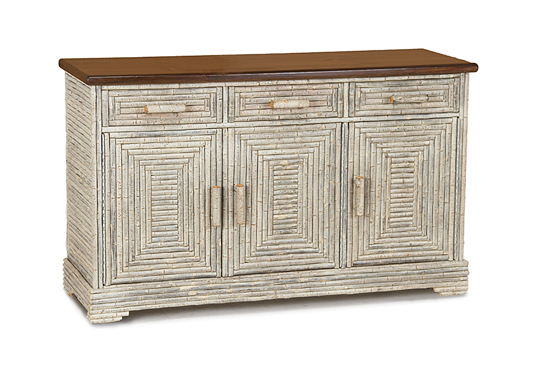 This finely crafted Buffet is a beautiful place to store the finest dishes and stemware, and provides, as well, the perfect space for entertaining. 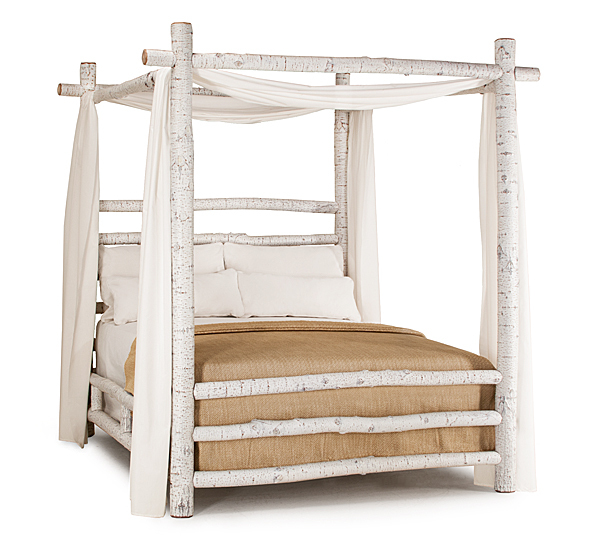 Elegant and stately, this Canopy Bed lends a sense of drama to any decorating style – a stunning addition to traditional, contemporary, transitional AND rustic bedrooms. 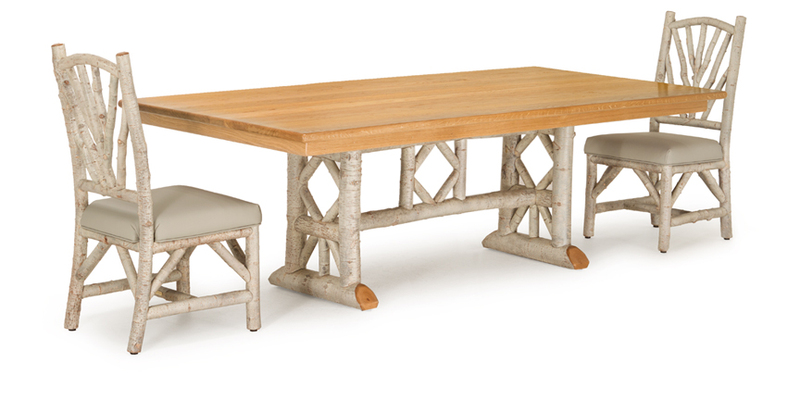 With plenty of room for all, this Trestle Table features a base with a striking diamond design, and is beautifully accompanied by Side Chairs that exhibit the graceful and organic lines of nature. All pieces are carefully constructed by hand using the same simple tools and techniques employed by furniture craftsman for several centuries.